YouTube/HBOElon Musk talked to Axios about Tesla’s brush with death. Elon Musk told Axios in an interview that Tesla was “single-digit weeks” away from death earlier this year. This was due to the Model 3 production ramp, which has made headlines for pushing Tesla and its CEO to the limit. Tesla CEO Elon Musk revealed how close the company came to folding in an Axios interview broadcast on HBO Sunday night. “Tesla really faced a severe threat of death due to the Model 3 production ramp,” said Musk. He added that the company was “bleeding money like crazy,” and the haemorrhaging of cash got to the point where it was “single-digit weeks” away from collapse. The CEO said he was working seven days a week on every aspect of the production. “I worked in the paint shop, general assembly, the body shop,” he said. He admitted that the long hours were not good for his welfare. 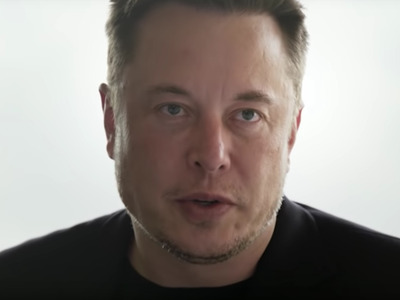 “No one should put this many hours into work, this is not good,” Musk explained. Musk has talked before about the strain exerted by Tesla having to step up production of its Model 3, staying overnight at the office and struggling to get to sleep without the help of sleeping pills.